This statistic depicts planned home renovations worldwide within the next two years, by project type. 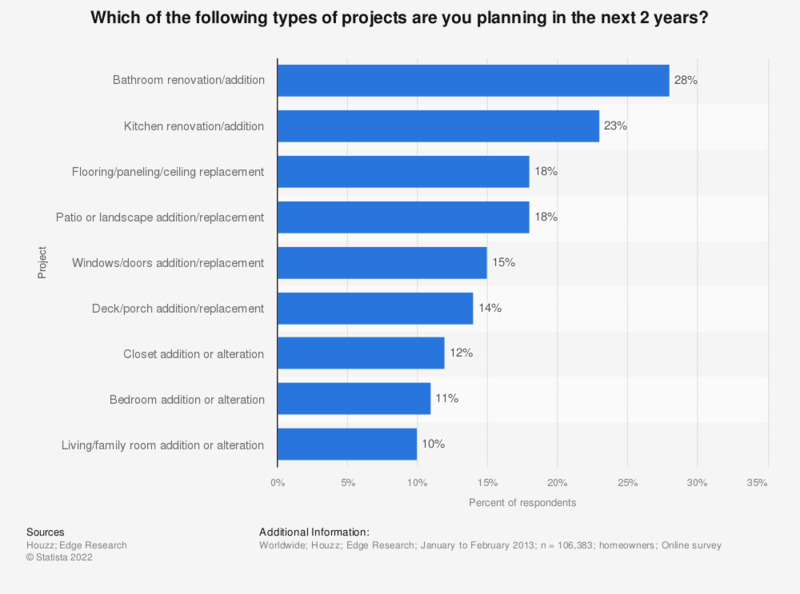 The survey revealed that 28 percent of the respondents are planning a bathroom remodel or addition within the next two years. What types of coupons do you like most? Which of the following describes your plans for most of your home improvement project?